Talk about dedication to the music. It is 5:33 in the morning on my birthday and I am giving you an Album Of The Day. Well, this one is pretty obscure, but rocks nonetheless. 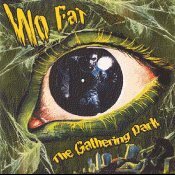 The Album Of The Day is "Gathering Dark " by Wo Fat. Bought it some weeks ago. Good stuff.